WEH, Clickmate, SCBA Refilling Adaptor. For use on hose whips. 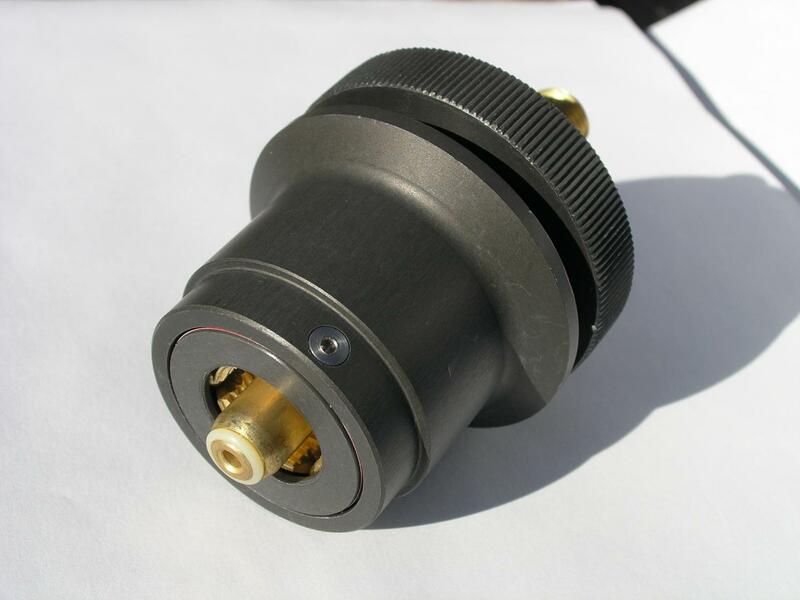 WEH, Clickmate Fill Adaptors are manufactured from machined Stainless Steel and brass. The 6-treaded inserts float independently of one another to align and "Grab" the thread. You can see and feel the quality of this finely engineered product the first time you hold one. Just push on the red thumb button down, lift up the lock bar and slip the Clickmate over the SCBA fitting. There is no threading, aligning or twisting to make the threads. Just release the lever and you're all set.. Direct connection to the Scott RevolveAir Fill Enclosure adaptor blocks. 1/4" MNPT inlet fitting, CGA-347 Output. Give a 1/4" to 1/2" turn to tighten up. Check that Red Safety line is not visible. Turn 1 to 2 turns counter clockwise. Lift handle to lock adaptor to valve. The WEH, Medical Grade O2 Fill Adaptor is machined from Brass and Stainless steel, with a commercial grade plastic locking handle. 1/4" MNPT inlet, attaches to hose whip. Slip over an Medical Oxygen Cylinder Valve.